After two decades military dictatorship, Myanmar (formerly Burma) has been in a process of political and economic opening since 2012. Regrettably, however, today the majority of the population is disenchanted with the supposed democratization. Myanmar continues to be centrally controlled and ruled by the military, and internal conflicts are played out with the use of weapons. The principal victims are people in rural areas, who make up 70 per cent of Myanmar's poor. 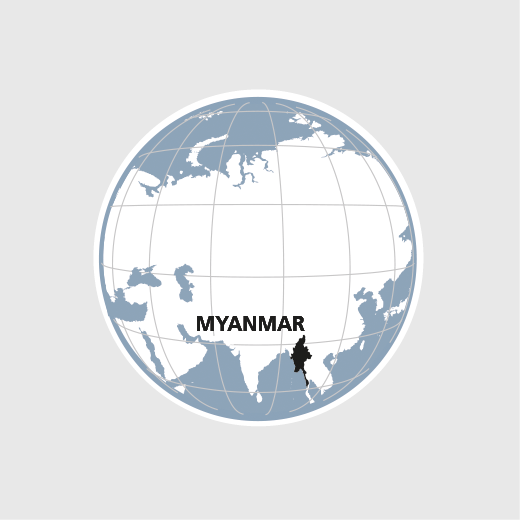 Worldwide, Myanmar is among the countries most vulnerable to natural disasters. Tropical cyclones, flooding as well as regular droughts claim thousands of lives each year and compromise the livelihoods of smallholder families.